O’Brien, D., McNaughton, S., Flood, B., Morgan, J., & Bowmar, A. (2016). Piloting an integrated, interprofessional programme for people living with Type II diabetes: outcomes and experiences. Australian Journal of Clinical Education, 1(1). Retrieved from https://epublications.bond.edu.au/ajce/vol1/iss1/1. Egan T, Jaye C. (2009). Communities of clinical practice: the social organization of clinical learning. Health (London). Jan;13(1):107-25. doi: 10.1177/1363459308097363. Review. 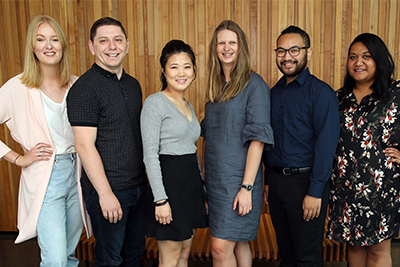 Pullon, S., McKinlay, E., Gallagher, P., Gray, L., Skinner, M., & McHugh, P. (2016) Case Study 14.4 Interprofessional education in a rural clinical setting- a quick-start innovation for final-year health professional students, University of Otago, New Zealand. In K.A. Bin Abdulrahman, S. Mennin, R.M. Harden, & C. Kennedy (Eds. ), Routledge international handbook of medical education (pp. 197-198). Abingdon, United Kingdom : Routledge. Jones, M., Jamieson, I., & Anderson, L. (2015). Perioperative practice in the context of client-centred care. In C. Orchard, & L. Bainbridge (Eds. ), Interprofessional client-centred collaborative practice: What does it look like? How can it be achieved? (pp. 37-50). New York, NY: Nova Science Publishers Inc.
O'Brien, D., & Jones, M. (2015). Theory into practice: The challenges and rewards of developing and running an interprofessional health clinic. In C. Orchard, & L. Bainbridge (Eds. ), Interprofessional client-centred collaborative practice. What does it look like? How can it be achieved? (pp. 131-142). New York, NY: Nova Science Publishers Inc.